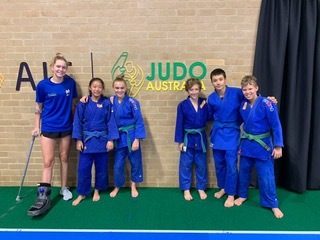 Beth Wade, Mina Woo, Ali McPherson, Ali Yuldashev, Will Zollinger and Phoenix Edwards were selected to and participated in the National Training Camp for final year Juniors and first year Cadets. Congratulations to these guys on taking advantage of a great opportunity. Wishing Beth a quick recovery from a broken bone in her foot. Assistant Club Coach Amber McIndoe also took advantage of the opportunity to support the coaches selected for the camp.